It’s no secret that we’re obsessed with witches over here at Quirk Books. We’ve explored our favorite covens in pop culture, published a book about self-care through spellbinding (shout out to all the Basic Witches in our lives), and are known to describe a good hair day as “witchy.” But what if our favorite covens from classic literature were bona fide witches? Imagine if the women of Little Women, Pride and Prejudice, Les Miserables, The Great Gatsby, and Romeo and Juliet were all masters of spells and potions. Just imagine how differently those plots would turn out. Meg, Jo, Beth, and Amy would be unstoppable with an arsenal of spells up their sleeves. Not only would they be able to banish Laurie from their lives – because, let’s face it, he’s the original mansplaining “nice guy” – they’d also be able to brew a potion to revive Beth, keeping the coven tightly immortal. Jo would transfix every publisher within range, starting a bidding war over her novel – gender be damned. The March sisters are already charming. We want to see them enchanting. We know that Pride and Prejudice is sacred text to many people, but imagine just for a moment if no one had to put up with Mr. Darcy’s smugness. Now hold that image in your mind. Isn’t it refreshing? Oh wow, now we can finally breathe. Thank you, Lizzie Bennett! We don’t know if you cast a banishing spell or made him forget the location of Pemberley, but we haven’t seen that classist buzzkill in weeks. And rumor has it that Lizzie’s teaching her sisters a few spells too. Jane wants to stick to transportation spells. She’s not about to throw together a love potion to catch Mr. Bingley’s affection, but she won’t say no to a faster horse. Kitty has been tinkering with love potions, though. She’s always been a little rebellious that way. Someone hit Marius with a well-deserved curse. That man is falling in love with women he barely knows. Unless… Has Eponine been convening with Cosette behind the pages of Victor Hugo’s epic tome? Is it possible that this is all part of an epic ruse to humiliate the love-struck man? Well played, ladies. Distract this silly man long enough to save his life, then banish him as soon as the revolution is over. Oh, and you thought Eponine died longing for Marius’ love? That was part of the whole ploy. Cosette revived her with a simple spell and they lived a long and happy life in post-barricade France. 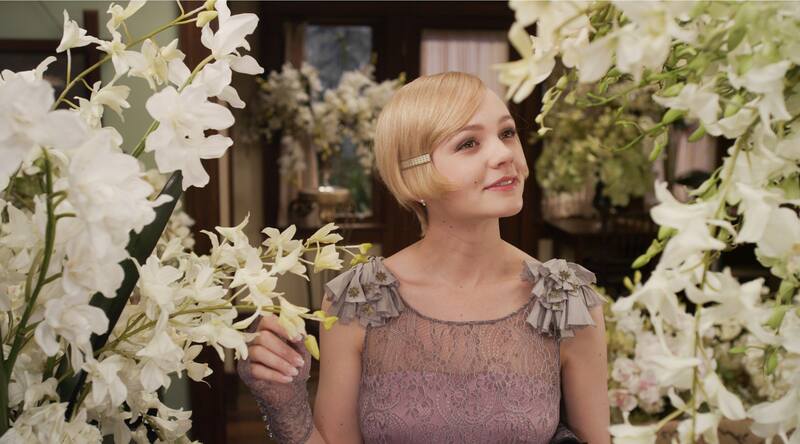 If the women of The Great Gatsby were witches, they’d quickly banish Nick Carraway, Jay Gatsby, and Tom Buchanan from the narrative, opting instead for a feminist Daisy plot. Not only would Daisy thrive between the pages of what we can only imagine would be The Great Daisy, she’d be in charge of her own future. A plot where she’s fought over like a piece of property? No thank you, dudes. You can live as far away from West Egg as you’re able. The spell won’t allow you to inch any closer. Myrtle Wilson’s nose will be quickly repaired with a flick of the wrist and the two women will quickly bond over how awful Tom is. There will be no murder – they’re joyfully nonviolent now that the men aren’t around – but there will certainly still be deliciously long drives and drinks by the pool. If Juliet and the nurse were potions experts, there would be no need to bring an apothecary into the mix. No longer star crossed, Romeo and Juliet would live long enough to have a massive blowout fight – miniscule next to Capulet vs. Montague 1595, but a battle nonetheless. The nurse could whip up an invisibility spell for Romeo, avoiding the whole shouting-at-a-balcony-on-your-enemy’s-property thing. There would be no need for inexperienced messengers carrying literal life or death letters. Instead, Juliet would travel to Romeo’s location immediately – maybe even throwing in a puff of smoke for dramatic effect. She is 14, after all. And she’s all about keeping up appearances. Tap your inner sorceress and channel the magical arts with this bewitching lifestyle guide.